Not all superheroes wear capes. In fact, some of them wear super stylish swimwear and activewear. 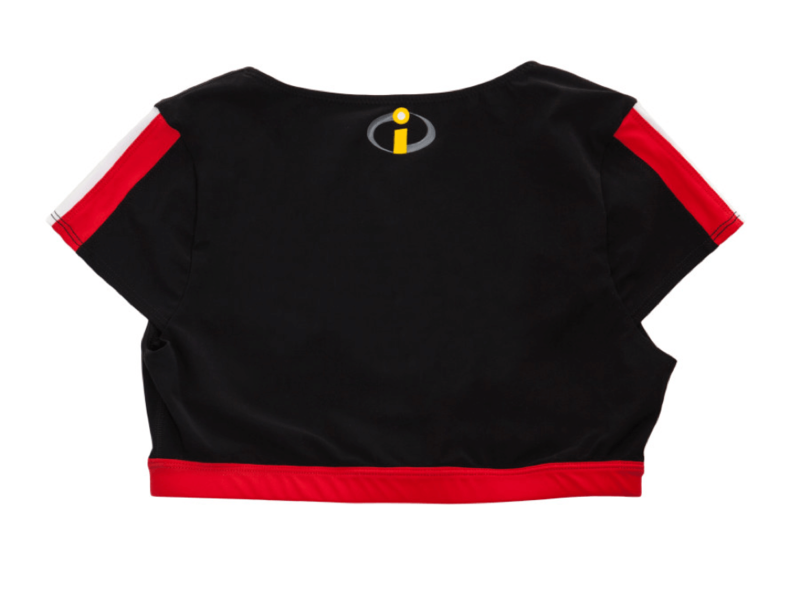 Trina Turk and Disney launched a 12 piece capsule collection inspired by your favorite family of heroes, The Incredibles, in anticipation of the sequel coming to theaters this summer. The collection consists of black activewear pieces with graphic red and white stripes and the “Incredibles” logo including two black and ivory geometric print jersey dresses, one pair of Edna Mode inspired sunglasses and two men’s pieces. “I’m a big fan of The Incredibles! I love the references in the production design to iconic mid century modern architecture in Palm Springs, as well as the dynamic characters, especially Edna Mode. We created an active swimwear capsule collection to wear on your super adventures this summer,” said Turk. The collection retails from $56 to $288.